The battle-axe (tuag or tuagh, pron. tooa) has been in use from prehistoric times in Ireland; as is evident from the fact that numerous axe-heads of stone, as well as of bronze, copper and iron, have been found from time to time, and are to be seen in hundreds in the National Museum and elsewhere. These are now commonly called celts, of which the illustrations on last page will give a good idea. FIGS. 20 & 21. 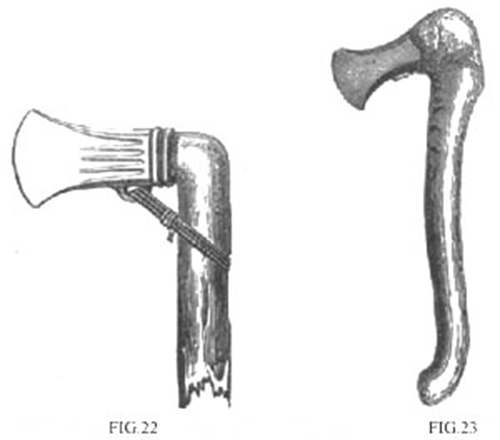 Two types of metallic celts or early battle-axes. (From Wilde's Catalogue). 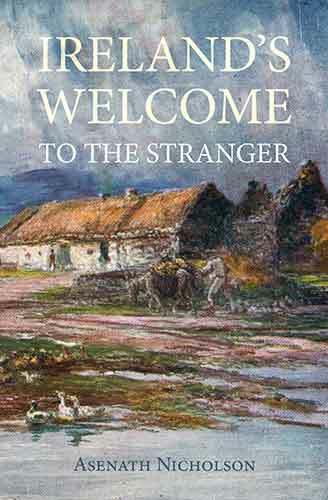 In later times the Irish were noted for their fatal dexterity with the battle-axe. FIGS. 22 & 23. 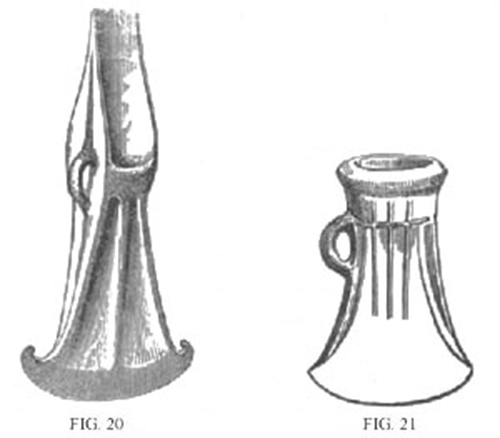 To show how metallic celts or axe-heads were fastened on handles. Fig. 23 shows one found in its original handle, as seen in the illustration. It has a loop underneath, which is partly eaten away by rust. Fig. 22 is a conjectural restoration of the fastening of this kind of celt. (From Wilde's Catalogue). Giraldus mentions that among other weapons they had a heavy axe excellently well wrought and tempered; and he goes on to say:—"They make use of but one hand to the axe when they strike, and extend the thumb along the handle to guide the blow: from which neither the crested helmet can defend the head, nor the iron folds of the armour the rest of the body. From whence it has happened, even in our times, that the whole thigh of a soldier, though cased in well-tempered armour, hath been lopped off by a single blow of the axe." FIG. 24. Dermot Mac Murrogh, with the narrow battle-axe called "sparra" or "sparth." In a MS. of Giraldus Cambrensis. (From Wilde's Catalogue). There were two kinds of battle-axes: a broad one, generally used by galloglasses, and a long, narrow one, called a sparra or sparth: examples of both are illustrated in figures 24 and 25. The narrow axe seems to have been the earlier form. FIG. 25. 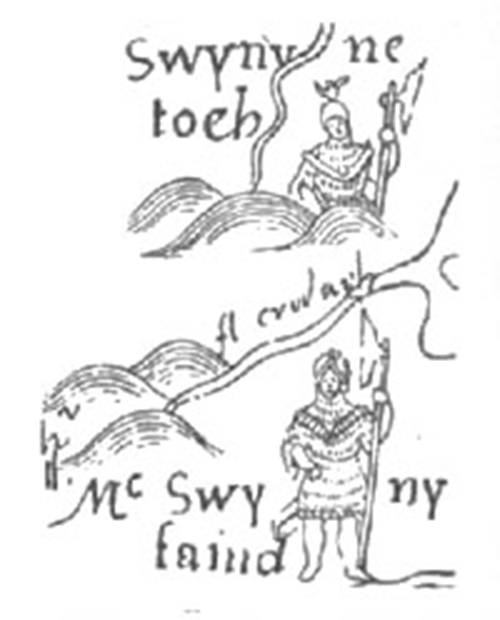 Two galloglasses depicted on a map of Ireland of 1567: showing the broad battle-axe. One of the two galloglasses in fig. 29 below holds a broad axe.